Huh? That's what I thought. Using good ol' Google I was able to recreate enough of the letters correctly to come up with the proper term -- meningoencephalitis. Wikipedia describes it as a medical condition that simultaneously resembles both meningitis (inflammation of the protective membranes covering the brain and spinal cord) and encephalitis (infection or inflammation of the brain). 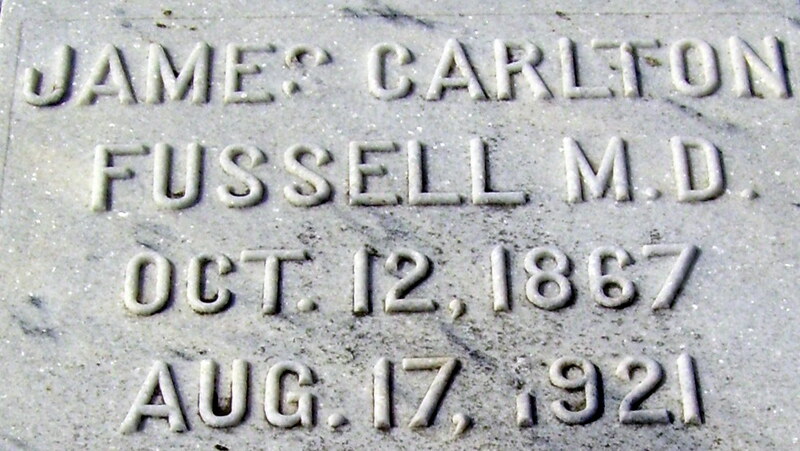 Dr. James C. Fussell died at the Piedmont Sanitarium in Atlanta, Georgia after suffering from this disease for at least six months. 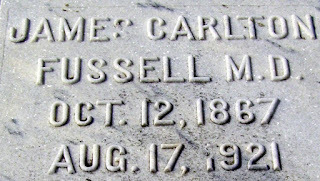 He was born in Georgia, the son of T. O. Fussell and Sarah Fletcher. Dr. James Fussell, 54 years old, well-known physician, of Fitzgerald, Ga., died Wednesday at a local hospital. 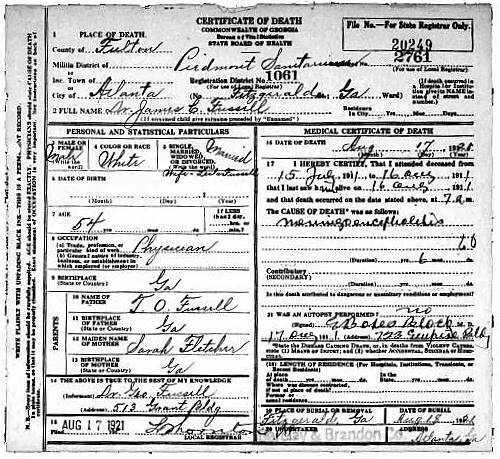 He is survived by his wife; one daughter, Miss Ethelyn Fussell, of Fitzgerald; and four sons, Dr. George E. Fussell, of Atlanta; James F., Edward G. and Fletcher L. Fussell, all of Fitzgerald. FUSSELL -- Dr. James C. Fussell, of Fitzgerald, Ga., died Wednesday morning at a private sanitarium. Surviving are his wife; four sons, Dr. Geo. E. Fussell, of Atlanta; Joseph F., Edward G. and Fletcher L. Fussell, and one daughter, Miss Ethelyn Fussell. The remains will be taken this (Thursday) morning at 7:15 to Fitzgerald, Ga., for services and interment. 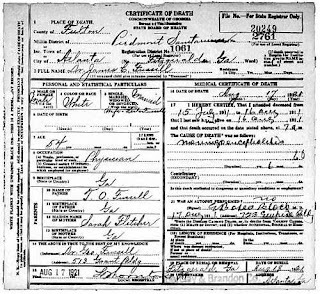 Barclay & Brandon Co., morticians.